To some fans of the A-League, where the league is at is very exciting. Expansion seems like something happening very soon, hopefully, ahead of 2019-20. The FFA made the call to cut down to six bids recently. Southern Expansion (NSW), Macarthur South West Sydney (NSW), Western Melbourne (VIC), Team 11 (VIC), South Melbourne (VIC) and Canberra (ACT). Now, I believe all of these bids have their own right to a team and it would be brilliant to have a 16-team competition. However, for obvious reasons, this won’t be happening, which is unfortunate. But two of these bids will become A-League teams very soon and it will be an intriguing time in the lead-up to finding out who they will be. But there is one question which I hope the FFA doesn’t overlook. Where will the fans come from? This is a bit of A-League history. When the A-League was established 4 teams were created and 4 were part of the old NSL. Adelaide United, Brisbane (formerly Queensland at the time) Roar, Central Coast Mariners, Melbourne Victory, Newcastle Jets, New Zealand Knights, Perth Glory and Sydney FC. Each of these teams were based in their own city, and apart from New Zealand who folded in 2007, have been successful teams. They have had on-field success and have had good attendances every season to survive. In the cities and towns they were based in, each team was able to have the time to consolidate a solid fan base and stadium atmosphere to go with it. The Wellington Phoenix were the direct replacement to the New Zealand Knights. Not only did this club have funding but the fans came. They picked the capital of New Zealand and have created a solid fan base with the Yellow Fever and as a result have had the attendances to survive. Just. We will always remember the #savethenix campaign. But they have had solid attendances and reasonable on-field success to survive as a club. Our most recently added teams, Melbourne City (formerly Heart) and Western Sydney Wanderers have both been successful. I will refer to City as Heart as this is what they were known as. Melbourne Heart was created and was about a close fan base. They got fans to vote on things such as name and colours. By creating this close connection with the fans, the Heart were a club that was set to be popular, especially now since the City takeover and their ability to bring players in such as David Villa and Tim Cahill. The league picked a city that was able to survive with two teams as they had the population. Meanwhile, a city like Adelaide would struggle with two teams in my opinion. This is just because of the population and the attendances of the club at this stage, though this doesn’t mean Adelaide couldn’t have a second team in the future. 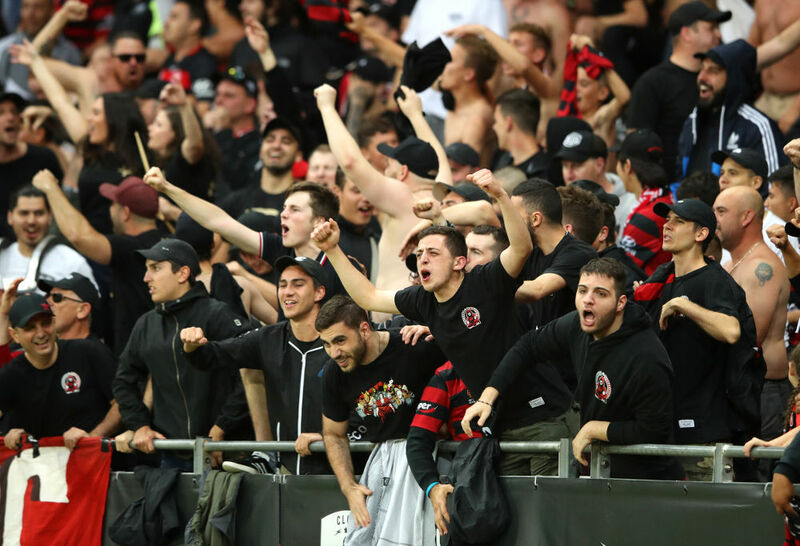 The Western Sydney Wanderers were created in a football thriving community in the West of Sydney and the creation of the RBB was genius. Whether you love them or hate them and their controversial actions over time, they always bring a different atmosphere to games, one which many fans enjoy. Choosing this area was smart, as it was an area of Sydney which was bound to get very good attendances and survive as a club. The two folded clubs worth mentioning are the North Queensland Fury and Gold Coast United. Not only did they have problems internally with the owners and financial situation, they both had poor attendances. The Fury were never a strong team on the field, while United finished at the bottom of the table in their final season. Internal problems aside, these teams were never very strong attendance-wise. Majority of the time the attendances were under 5,000 and were as low as 1,000. Not good enough for a professional sports team. These teams were not made in a vibrant football community and did not have a solid fan base created. This played a part in why they failed. When the FFA or A-League make their decision, they have to consider the fans and creating that solid fan base. Each club has created their own supporter base which helps bring people to games and want to watch football. The Red Army, Yellow Fever, the Den, the RBB and the Shed to name a few. Whoever they pick, they obviously have to make sure that they have the financial backing, players, coaches and stadium to create the club. But they can’t forget the fans. The most important part of soccer is the fans.